Removalist quotes are available from the Melbourne/ Victoria businesses below. When moving interstate from Victoria, it is easier to contact a local removalist, who can visit and quote at your business or home. Related experience with Interstate Moves from Melbourne Area. The creators of this website found it particularly useful when we recently moved back from Adelaide, to use the same removalist. It was a simple call to the Melbourne removal firm that moved us from Victoria to Adelaide. They knew the access at both properties and the volume of furniture to be moved. Also if you can try and arrange a backloading deal with a removalist, that might also help reduce the removal cost. We tried to negotiate a backloading deal for our South Australia - Victoria move - being the more quiet route - whereas Melbourne - Adelaide is often busier. Unfortunately this was not the case, and the truck drove over empty and took us back to Victoria. After a dusty trip back to Melbourne we needed to move the dirt from our cars and used a mobile car detailer from Melbourne who came to us and washed and cleaned the cars. We can recommend this service :). Removalist Tip: Keep the cardboard moving boxes in good condition and sell them back to the removalist. Also ask if they have used boxes when you move, it can save $100s on the move of a house. CBD movers offers cheap furniture movers, cheap removalists, furniture delivery truck, moving truck, house removals. They also offer 2 man and van in Melbourne and Sydney. King & Wilson is an Australian-owned removalist company that has been moving generations of Australians since 1907. Whether you are moving house around the corner, interstate or relocating overseas, we can help every step of the way. Visit the website to know more. Looking for a Melbourne removalist? Call the smart alternative - Call Little Red Trucks! We offer the modern equipment and professional service of the big furniture removalists with the pricing and flexibility of the little guy. And it's all available to you at short notice and with absolute minimum fuss. 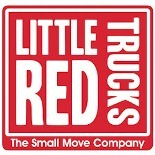 At Little Red Trucks we specialize in small removals in Melbourne. Furniture Removalists and Movers in Melbourne, Cheap House Moving, Removals, Relocations, Interstate Moving and Deliveries. Serving entire Melbourne Region and nearby areas.